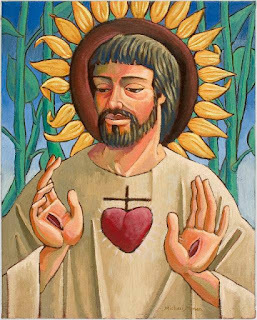 In this week of the general season of the year one of the ideas that is presented to us is that of the Sacred Heart of Jesus. It is not necessarily an idea that Anglicans or Protestants readily warm to, smacking of pious pictures which are a bit too cheesy for most of us. It is, however, an idea that most of us might find enriching. The open, welcoming Heart of God in which all can find a place of comfort, consolation, welcome, and healing. It also has about it the idea that love flows out of God’s central being into the world, and we are invited to share in that work and be agents of it ourselves. Two actions might focus us this week. First, where do we need to receive this tender touch of God. 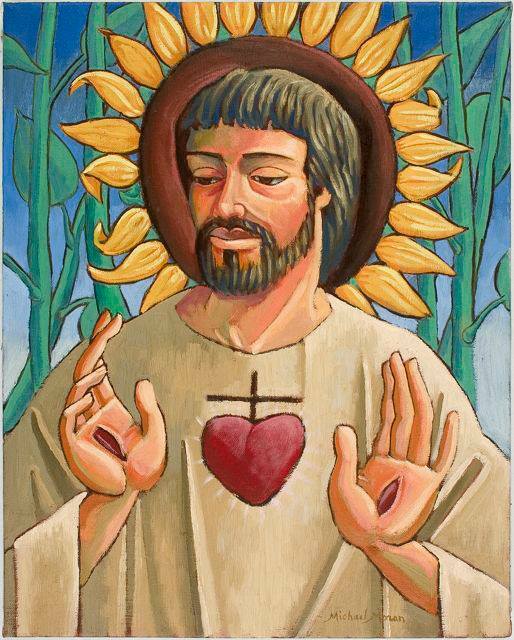 Pray each day for God’s healing, loving presence to flow into us from the heart of Jesus. Second, no doubt we are also called to be a source of love to others, too.